Also, I'm in love with Spock. Spock was my first (and probably longest-running) fictional character crush. So the new movie made me happy. I think this is the first time recently that I haven't felt let down by a remake. deety, that makes me so happy. I have always loved Spock. And I completely agree. It was unbelievably refreshing (and so rare lately) to have my expectations exceeded. I wanna see it again! yesss, loved it too. i must say scotty was my fave! babysitter is being arranged. i must see. vvb32 reads, Scott was hilarious. He came in at just the right time. You should definitely go see it again! We were going to finally catch Wolverine last weekend, but that character isn't exactly my favorite of the X-Men so I suggested we just watch Star Trek again instead. It was still just as good the second time around. Amy, it's all about the Spock. deety, good to hear! 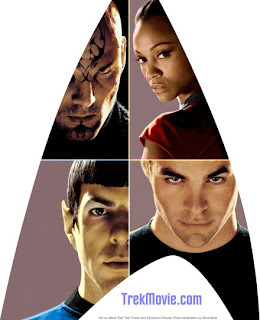 I haven't seen Wolverine but it just didn't look anywhere near as good as Star Trek.